Ah, yeah, Jagmaster was a joke. 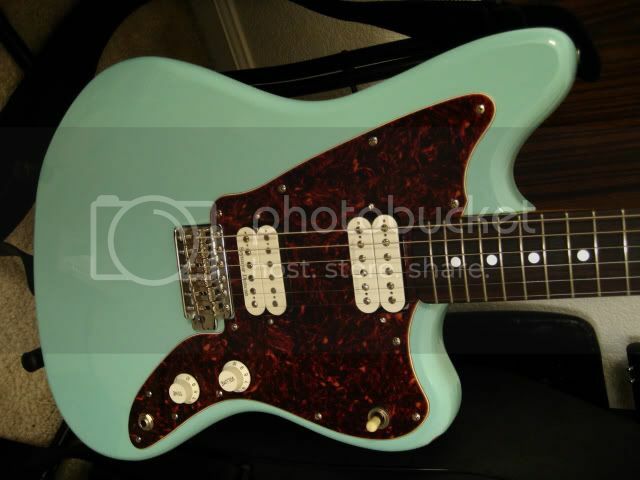 the jagmaster has the distinction of having the best looking guitar AND worst looking guitar of all time in its run. EXCALIBUR and SCUMBAG SPARKLE. you can hardly believe its the same guitar. I have the silver sparkle or had. My daughter has it now. It's really just a double fat Strat with an offset body shape. Strat scale, Strat Tremolo. If you think of it as a funky Strat it works. If you think of it as a cheap Jag it doesn't. That 25.5 Jagmaster in Scumbag Silver and Crappy Apple Red was such a step backwards for Squier after the Vista series. Thankfully they came back with the Classic Vibe and Vintage Modified line. I still have parts of the CAR one somewhere.